© Copyright Avi Sion, 2002. 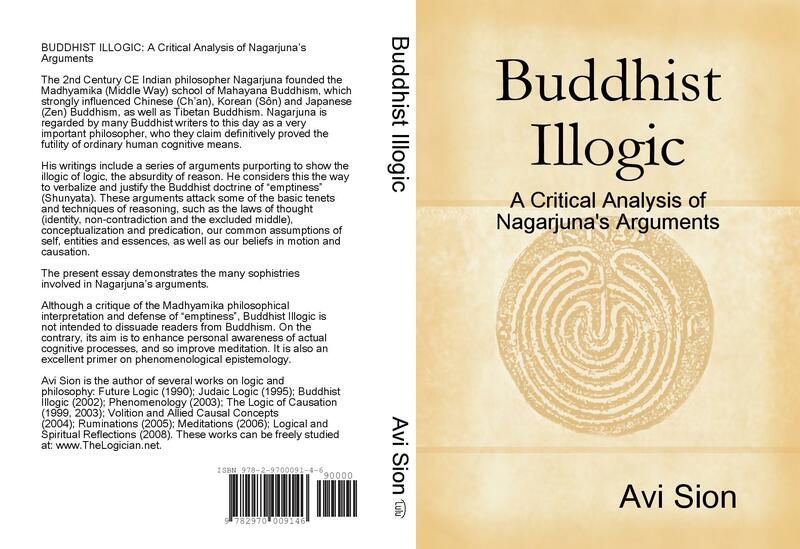 Published 2002, by The Logician, c/o Avi Sion in Geneva, Switzerland. The Heart Sutra states: form is no other than emptiness, emptiness no other than form. Form is emptiness, emptiness is form. And the same is true for sensation, perception, conception and consciousness. Buddhist Illogic is divided into 12 chapters and 2 appendices.